Transport Minister Lui Tuck Yew says peak hour train overcrowding is expected to ease with the launch of the final 12 stations of the Circle Line on October 8. Stations running from Marymount to Harbourfront will open for passenger service on the day and complete the 28-station Circle Line. The new stations are: Caldecott, Botanic Gardens, Farrer Road, Holland Village, Buona Vista, one-north, Kent Ridge, Haw Par Villa, Pasir Panjang, Labrador Park, Telok Blangah and Harbourfront. The 16.6km-long Circle Line has an expected daily ridership of about 400,000. Minister Lui, who has been closely monitoring the peak hour commuter traffic on MRTs said that the "Circle Line will enhance connectivity of the rail network and bring significant time savings for commuters," reported Today newspaper. He added that the launch of the full Circle Line is expected to relieve congestion on the North-South and East-West lines by about 10 to 15 per cent. The North-South and East-West lines (NSEW) now serve about 1.6 million commuters daily. Speaking after a site visit to three of the new stations, Minister Lui also hinted that Land Transport Authority (LTA) and SMRT are finalising plans to include more train trips to improve off-peak frequencies. The Circle Line will enhance connectivity with the existing MRT lines with six interchange stations namely Harbourfront, Buona Vista, Bishan, Serangoon, Paya Lebar and Dhoby Ghaut. The completed MRT system is expected to provide significant time savings for commuters. Commuting from Bishan to Buona Vista will now take 26 minutes on the Circle Line instead of 40 minutes on the North South and East West line. 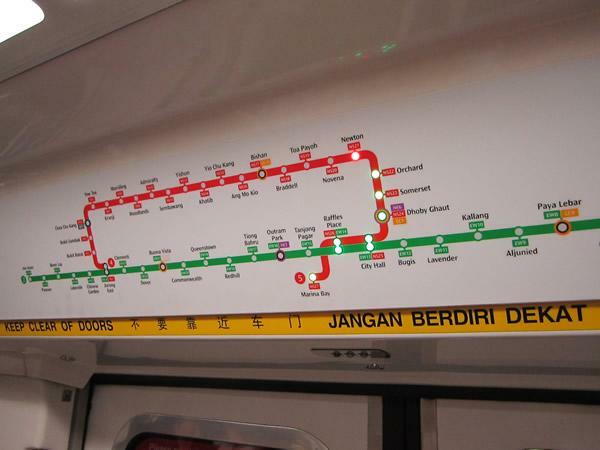 To increase overall capacity, 17 more trains will be added to the Circle Line by December. The NSEW lines will have another 13 trains by 2015, which will enhance capacity by about 25 per cent, said the Minister.